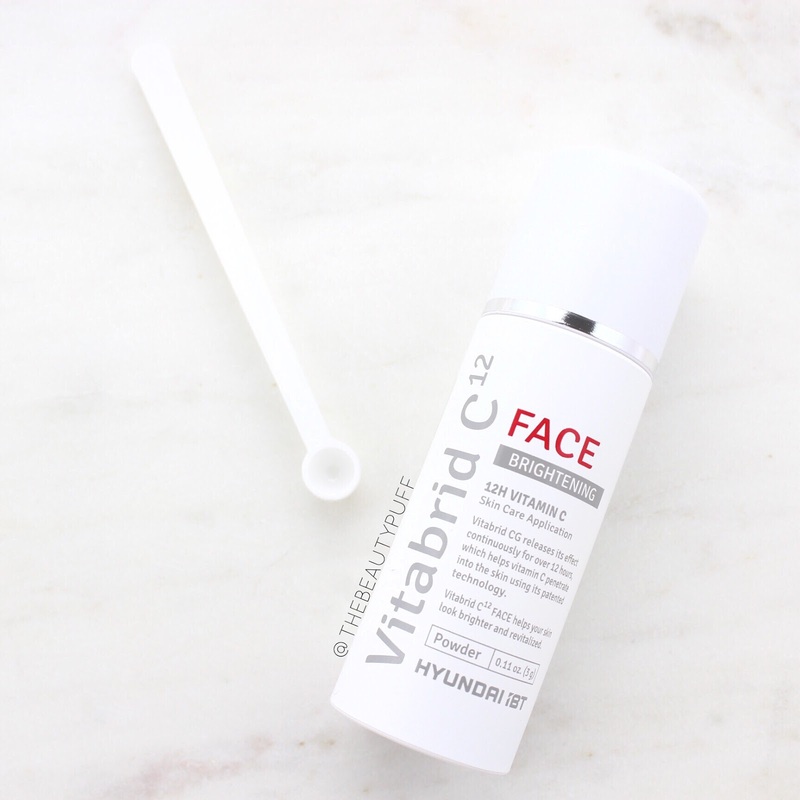 I've known for a while that Vitamin C is beneficial to skin, but after being introduced to Vitabrid C12, I've learned a whole lot more. Vitabrid C12 allows Vitamin C to absorb into skin and slowly release over the course of 12 hours. How? In this technology, Vitamin C is between minerals that prevent it from being destroyed by things like heat, moisture and the sun. So you get the maximum benefit and the best results possible. So why do you want Vitamin C in your skincare routine? Vitamin C provides collagen synthesis to reduce wrinkles, helps in the healing of wounds, protects against free radicals, and decreases melanin to reveal a brighter complexion. Now that we've gotten a bit of the science out of the way, how do you use Vitabrid C12? Well one of the ways is with their Face Brightening Powder. I was so intrigued when I saw this product! It's not a powder that gets applied directly to the skin, you mix it with your chosen medium. You can mix it with your skin serums, toners, moisturizers, almost anything! Each Vitabrid C12 Face Brightening Powder comes with a convenient scoop that helps you get just the right amount of product. Simply scoop the powder out and mix it with your chosen skincare product. Then, apply to your skin as usual. While many of our skincare products work wonders for our skin, they could always do with a boost, right? By adding Vitabrid C12 to your skincare, you can help reduce blocked pores, improve skin's tone, and brighten your complexion. Shop below.